Dr. Paul C. Mountan, one of the founders of Rhinebeck Equine, LLP, discovered his passion for horses during his early childhood; and was inspired to practice equine veterinary medicine by his older cousin, Robert E. Cornell, DVM. Dr. Mountan began his collegiate career in 1960 at Cornell University in Ithaca, NY. A proficient rider, he joined the polo team there and helped to lead his team to the 1963 National Inter-Collegiate Championship. In 1964 he was named Outstanding Player. Thoroughbreds at the racetrack and farms in and around Miami, FL. He returned to the Hudson Valley in 1967 to join Dr. Ron Miller in a general practice. 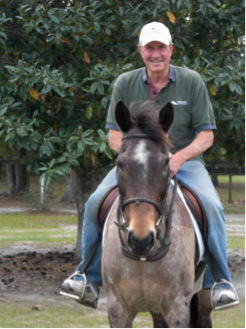 Today Dr. Mountan, now retired from the partnership, splits his time between Rhinebeck, NY and Ocala, FL, where he owns a small farm. With decades of veterinary experience with a variety of breeds and disciplines, Dr. Mountan instills confidence and security in his clients. 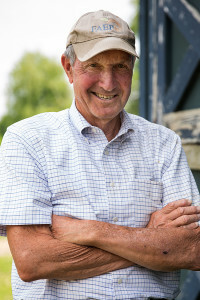 He has been a member of the Zweig Committee since 1990, has served as a member of the Equine Practice Advisory Committee of the New York State Veterinary Medical Society, and the Equine Advisory committee of the New York State College of Veterinary Medicine at Cornell.